Is your school interested in adding Equine Assisted Learning or Therapeutic Riding to your curriculum? Vinceremos Therapeutic Riding Center offers unique opportunities for schools with exceptional student programs to incorporate therapeutic riding or Equine Assisted Learning as a weekly program. These programs have had success in promoting inclusion. Equine Assisted Learning is a model based on teaching social and life skills which, in turn, helps students acquire needed developmental assets. This can lead to students experiencing academic success and developing a more stable foundation for their lives. Vinceremos' program integrates the standards recommended by the Palm Beach County Board of Education. Examples of standards include completing routines and tasks, following rules and procedures across various settings, demonstrating the ability to adjust to new routines and changes in settings and locations, participating in group activities and maintaining personal safety. Vinceremos can work with your school to assist in building and promoting a riding program. Lessons can be scheduled weekly. 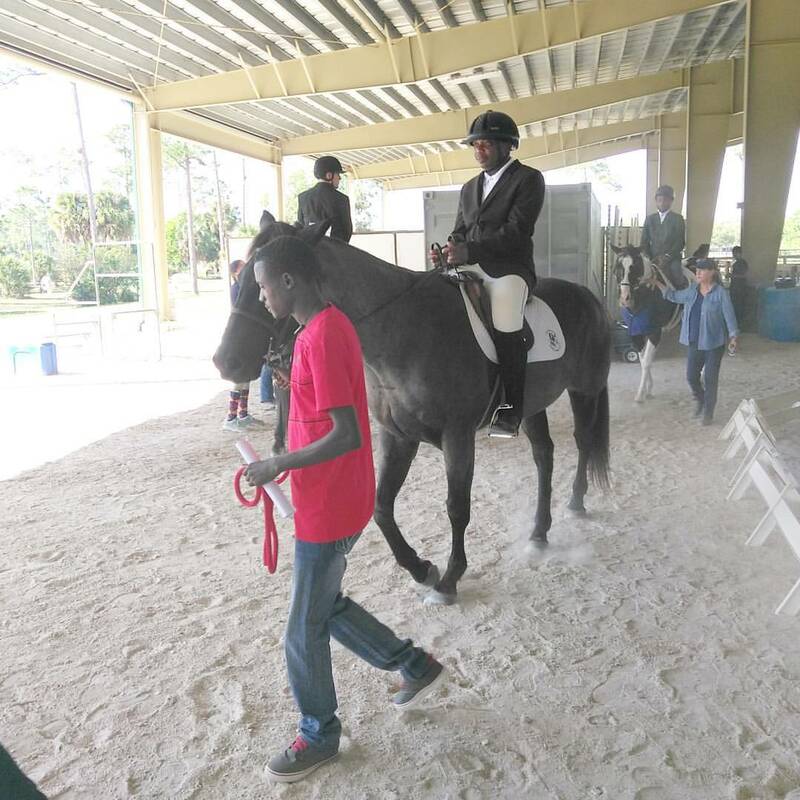 Students may be eligible to participate in Special Olympic Equestrian Games at the county, area and state level. This is also an opportunity for your school to integrate your exceptional student program with your mainstream program through a unified class or team. Riders from both programs work together to build a drill team, eligible to compete at the the local and state level. Some schools have recruited their own students as volunteers or mentors in this program. Common bonds are formed between students of all abilities, bridging the gap between students and uniting them with the commonality of school pride. Please contact Vinceremos for more information on introducing your students to a world of possibilites and potential at (561) 792-9900.